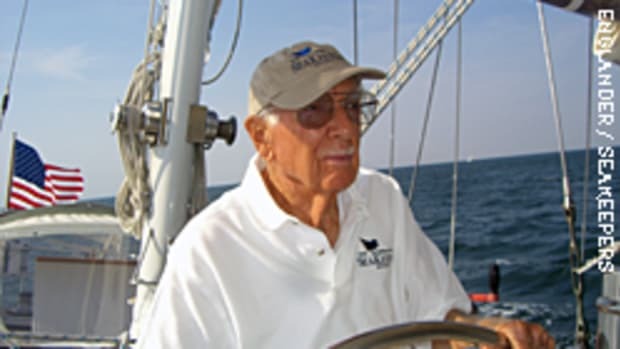 David Green, who was a driving force behind the restoration of Sir Francis Chichester&apos;s yacht, Gipsy Moth IV, died Oct. 7. Green, a sailor and entrepreneur who promoted ecological sustainability, was reportedly found hanging from a tree at his home on England’s Isle of Wight. Gipsy Moth had been rotting in a concrete grave in Greenwich, England, alongside the Cutty Sark for years when Paul Gelder, then editor of Britain’s Yachting Monthly magazine, launched a campaign to restore the 53-foot ketch. The goal was to refit her so she could be sailed around the world to commemorate the magazine&apos;s 100th birthday and the 40th anniversary of Chichester&apos;s 1966-67 voyage. After a 12-month search for a sponsor, Gelder met Green, who was then CEO of the UK Sailing Academy at Cowes. 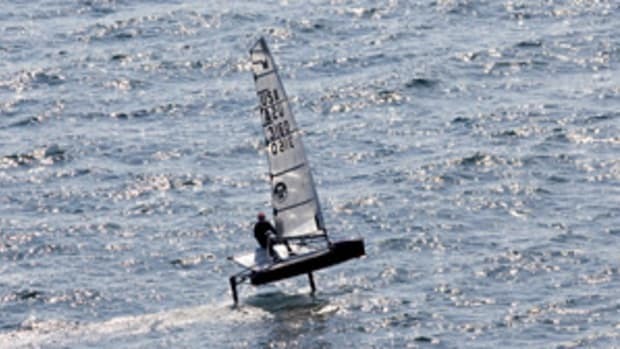 "David was a driving force behind the Gipsy Moth IV project. Without him and the UKSA, it would never have happened," says Gelder. Click here for a report by Yachts and Yachting.